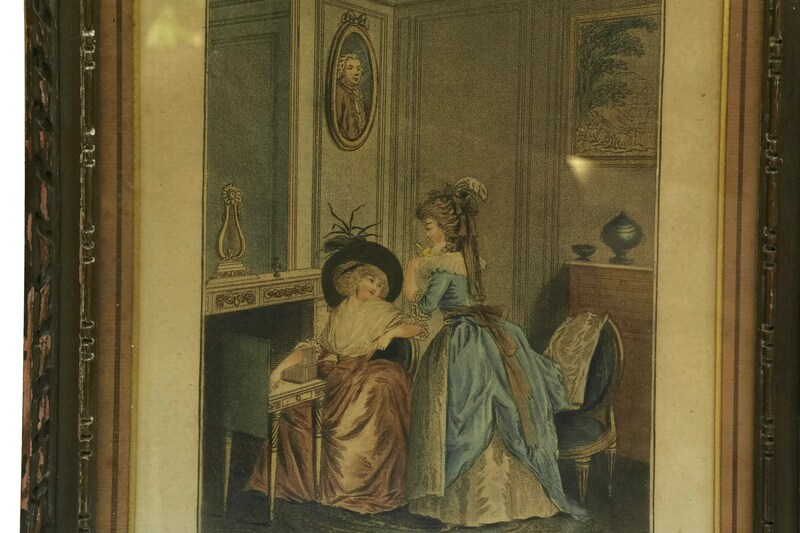 French Antique Aquatint Engraving of Ladies in Boudoir. 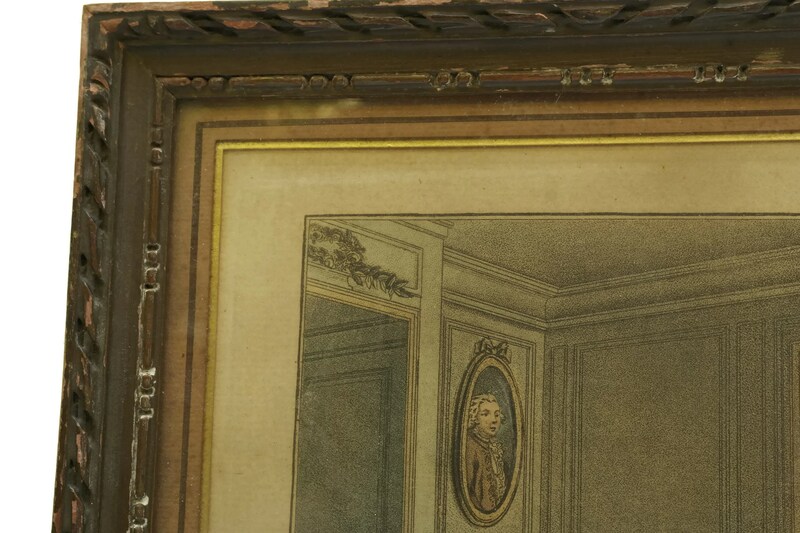 Romantic Marie Antoinette Home and Bedroom Decor. 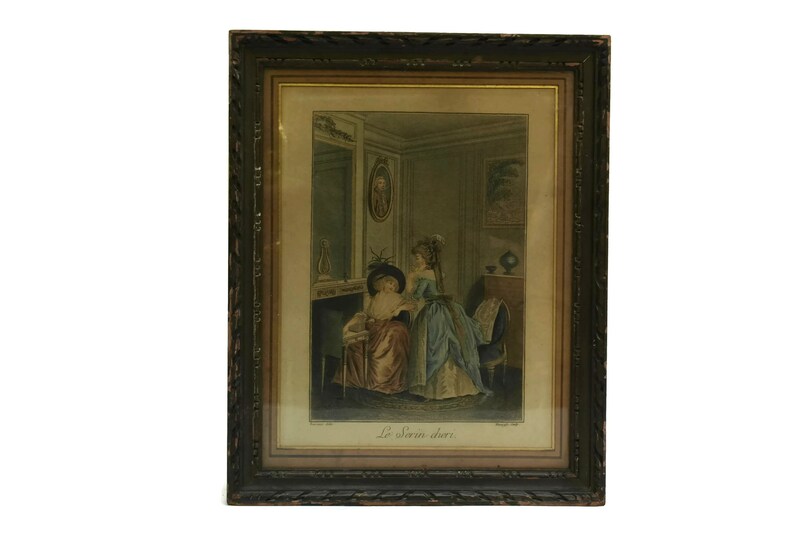 Framed Art Print. 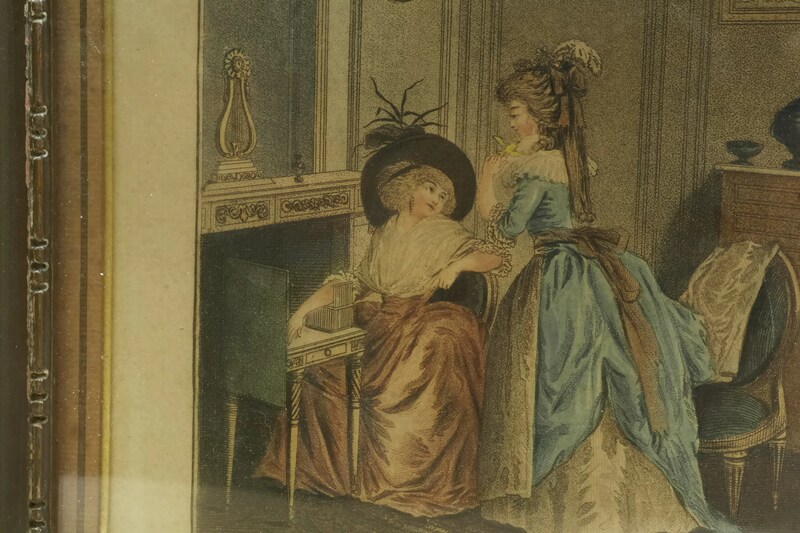 A beautiful antique French aquatint engraving dating to the early 1800s. 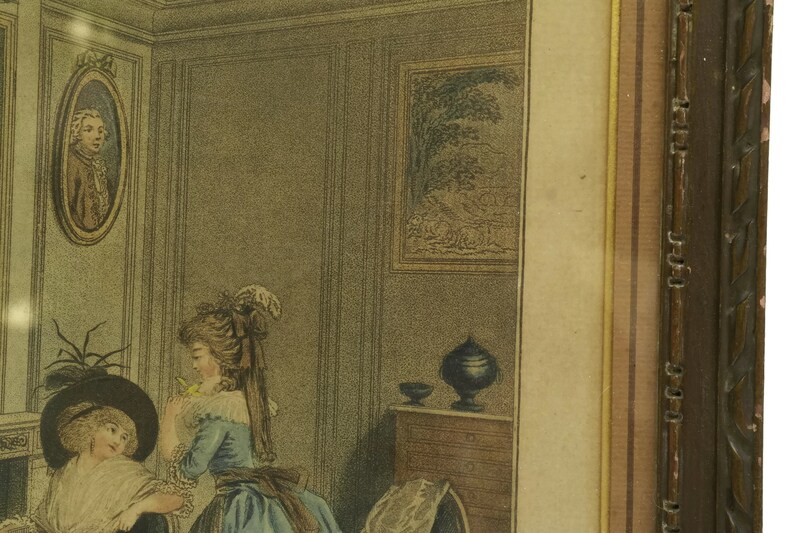 It portrays two ladies in a boudoir with a little bird in one's hands. 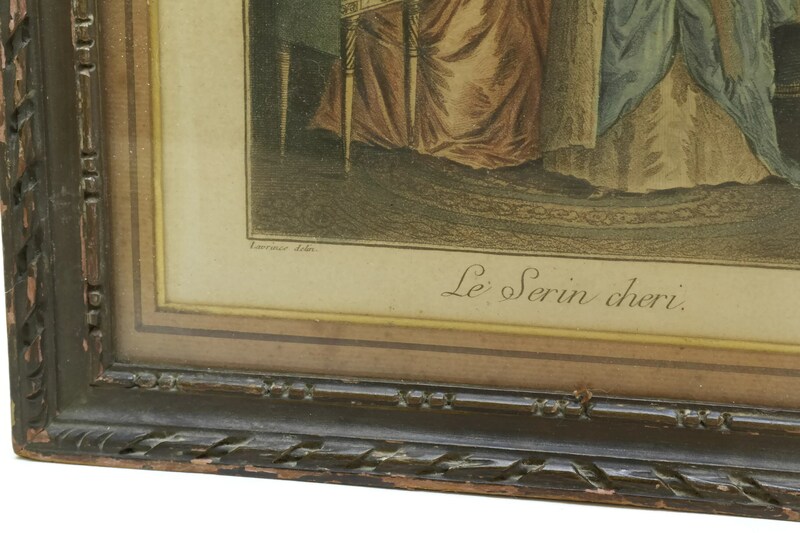 It has been titled "Le Serin Chéri" (The beloved canary) and is based on a painting by the artist Nicolas Lavreince . 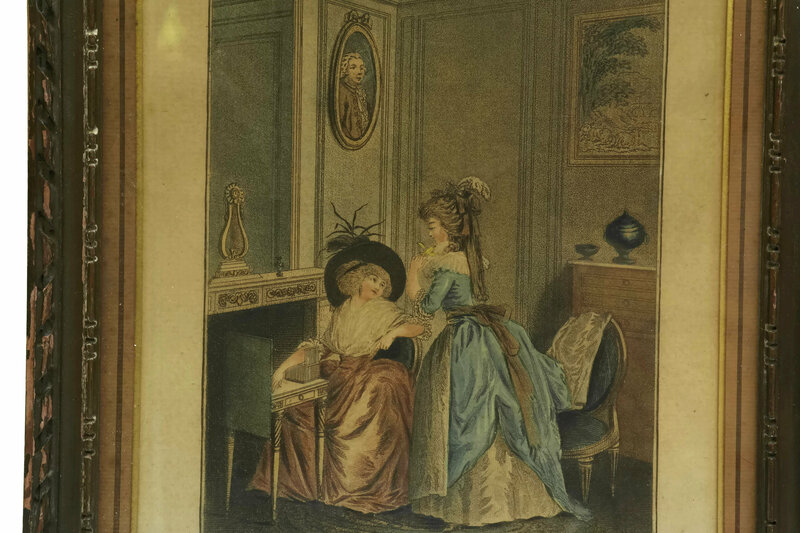 The antique art print has been delicately hand-coloured and set under glass in a decorative wooden frame. 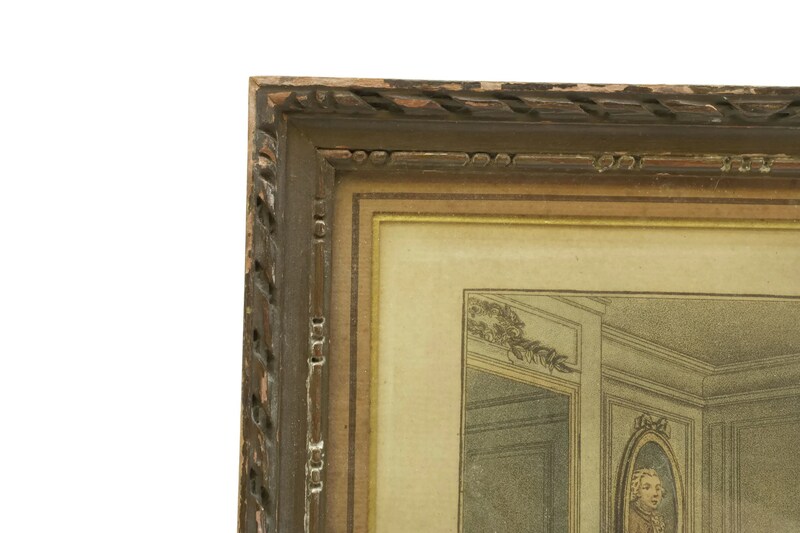 The reverse side of the frame has a small hanging ring. 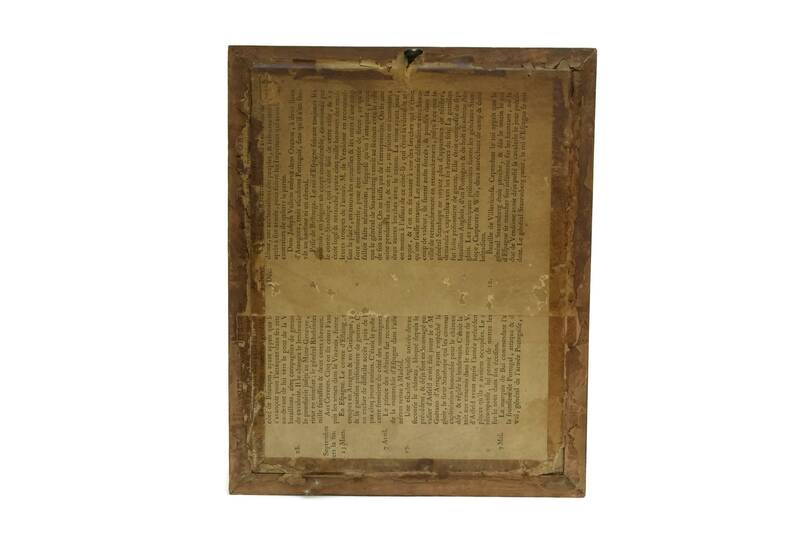 12" High x 9 1/2" Wide (30 cm x 24 cm). 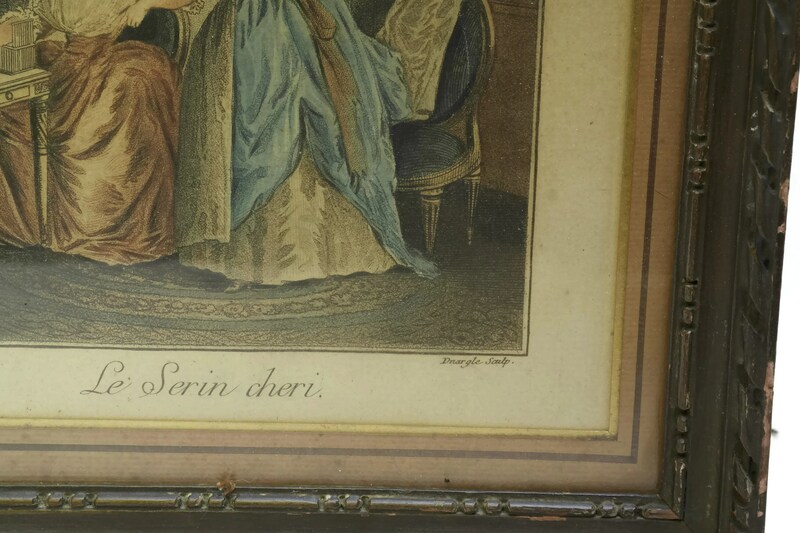 The antique print and frame are in in good condition with patina and light signs of age.